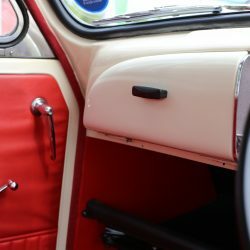 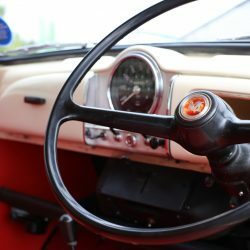 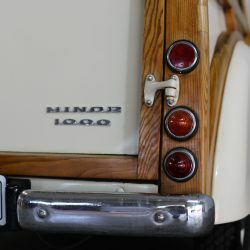 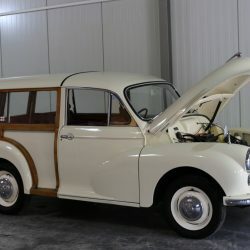 Charming restored Morris Minor Traveller with interesting history. 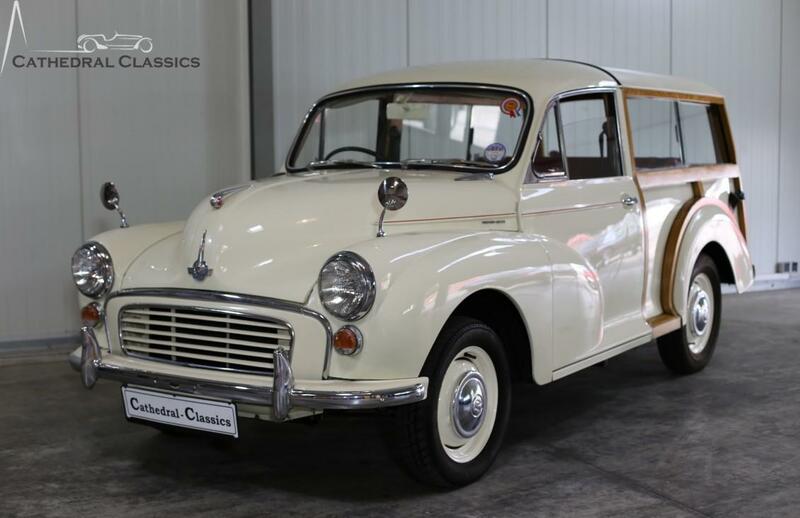 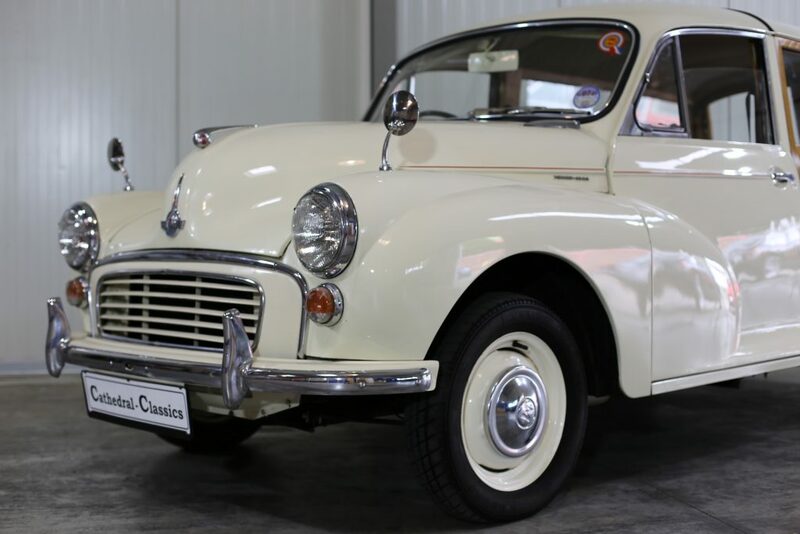 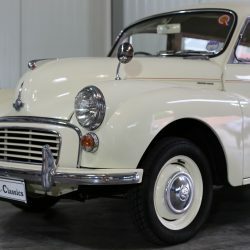 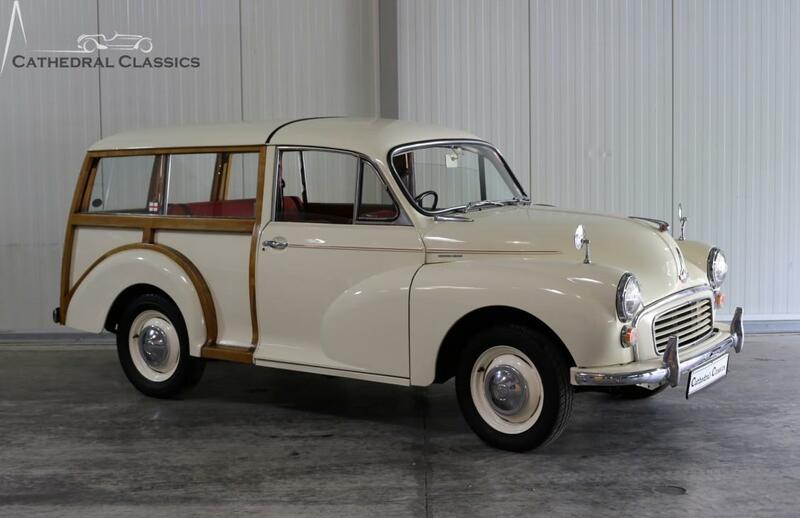 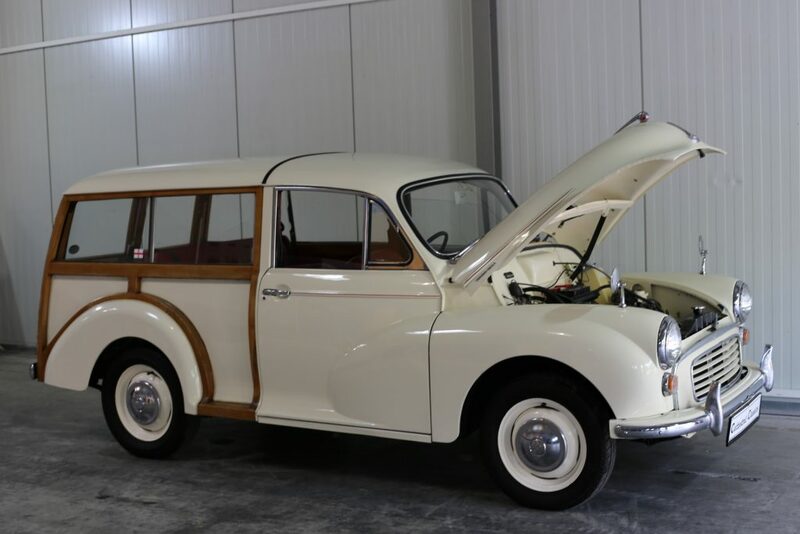 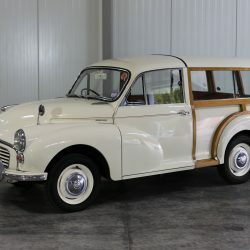 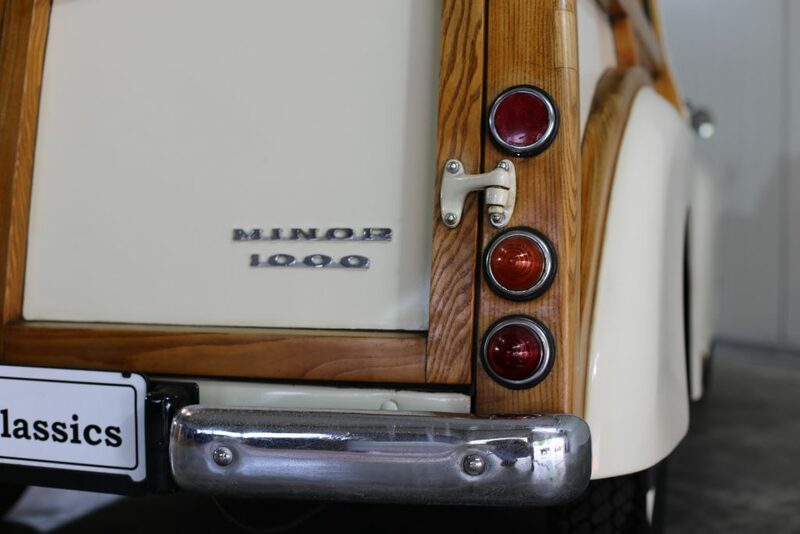 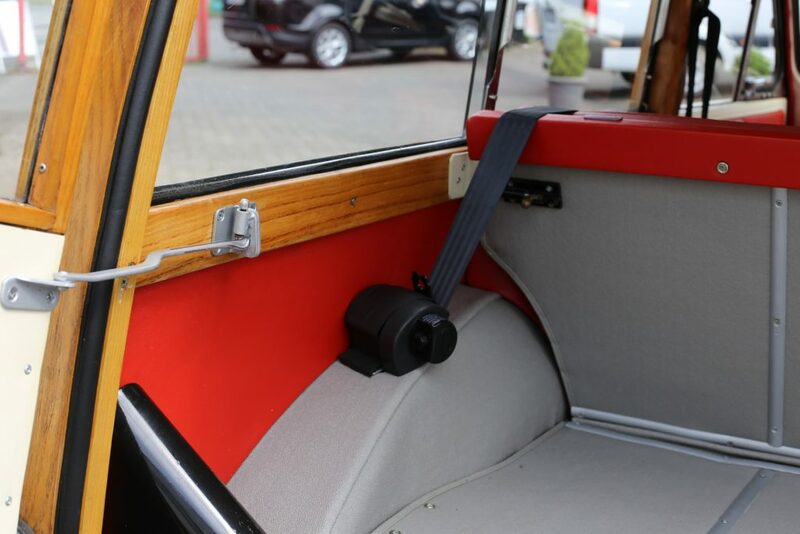 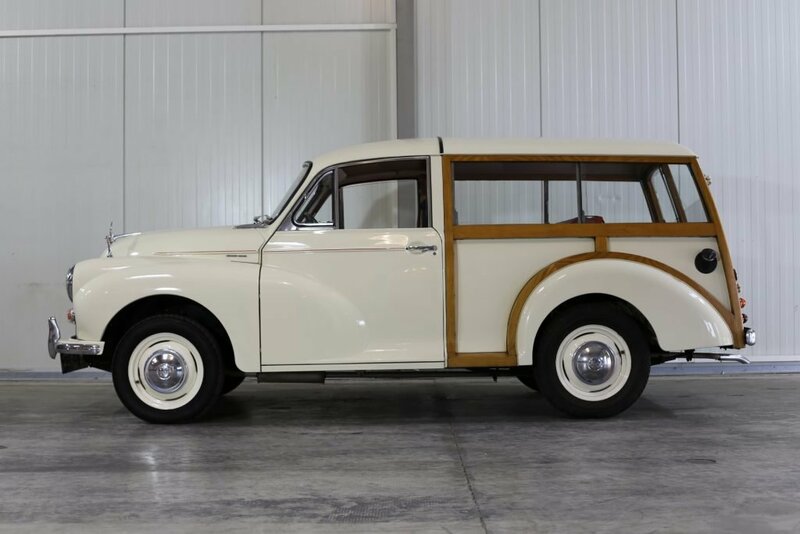 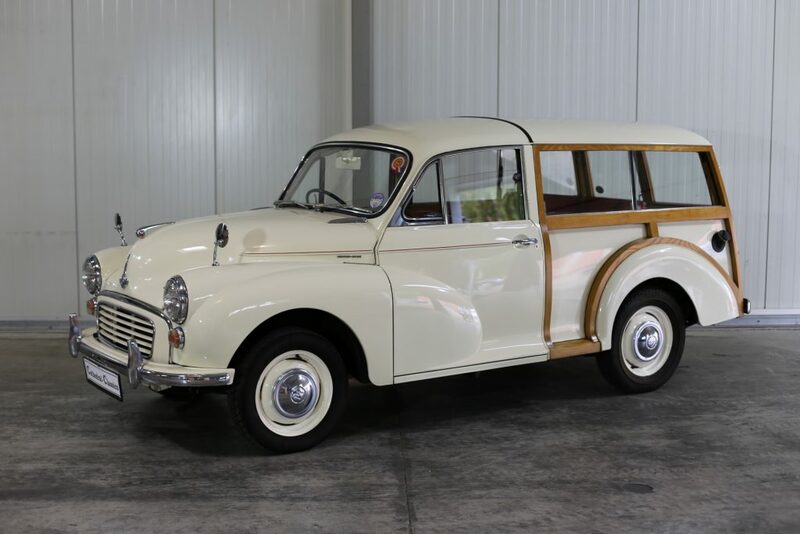 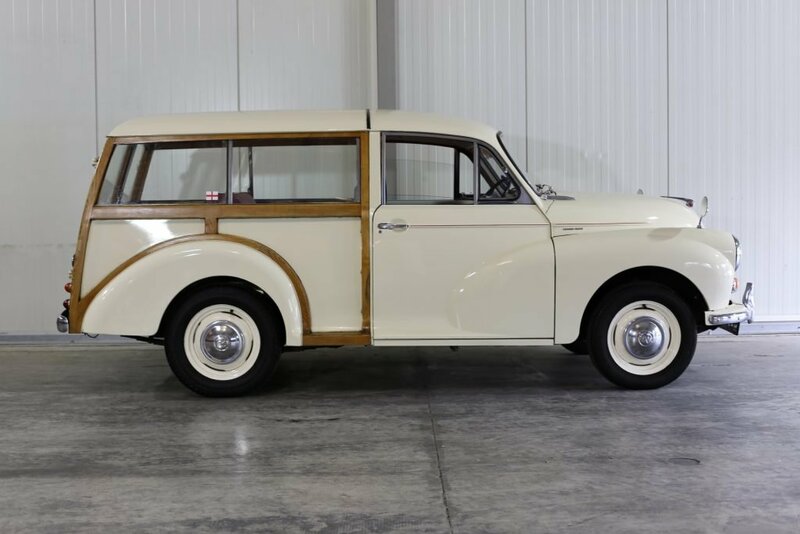 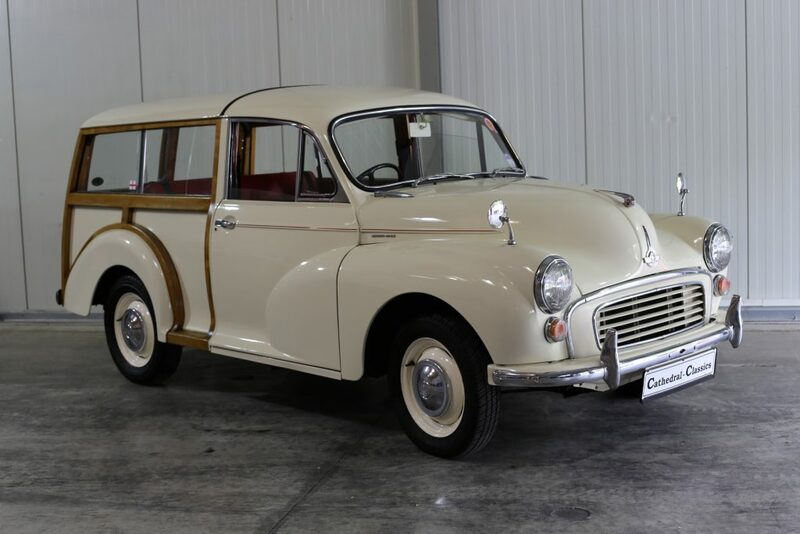 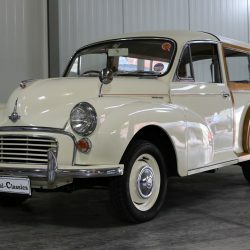 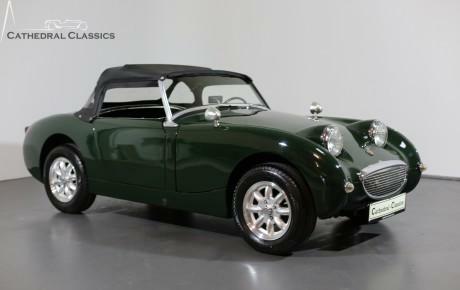 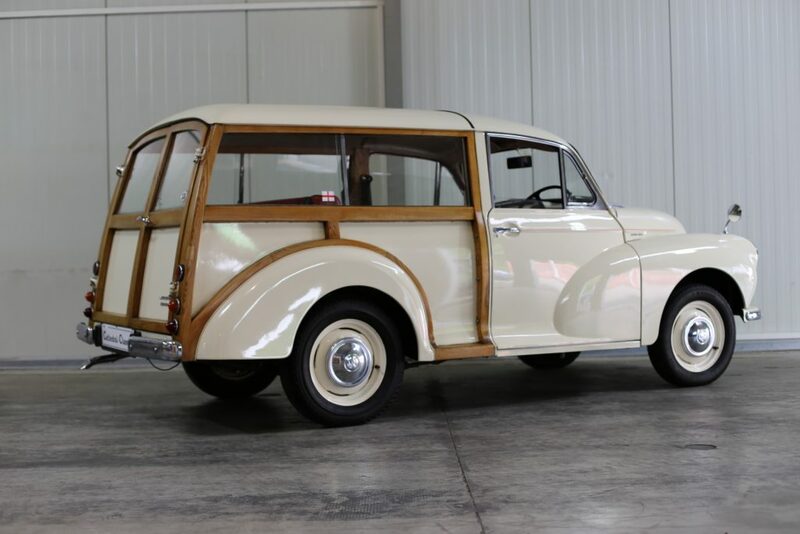 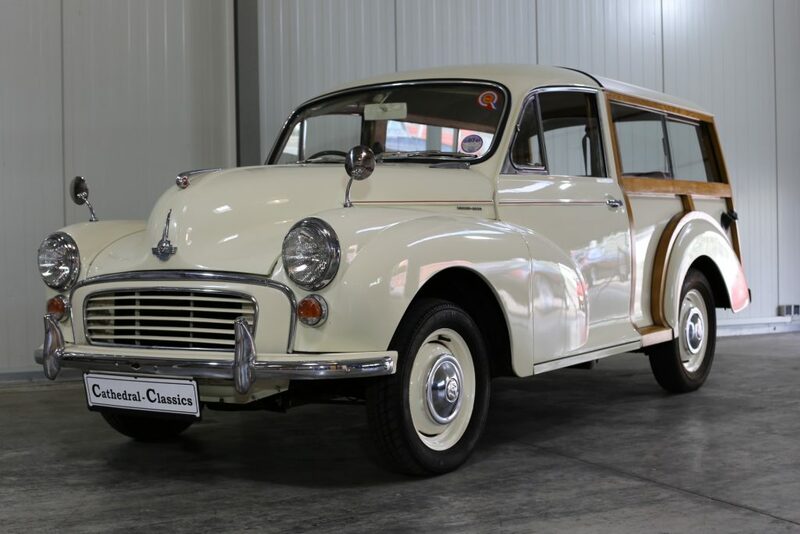 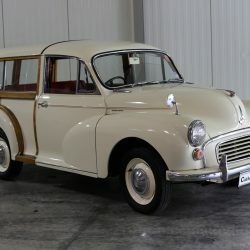 HISTORY - it’s extremely rare to find one of these charming cars with such comprehensive history: Our late 1967 model (OYW 758F) comes with a neat history file with UK MOT certificates from 1979 to 2006 before the car is exported to Germany. 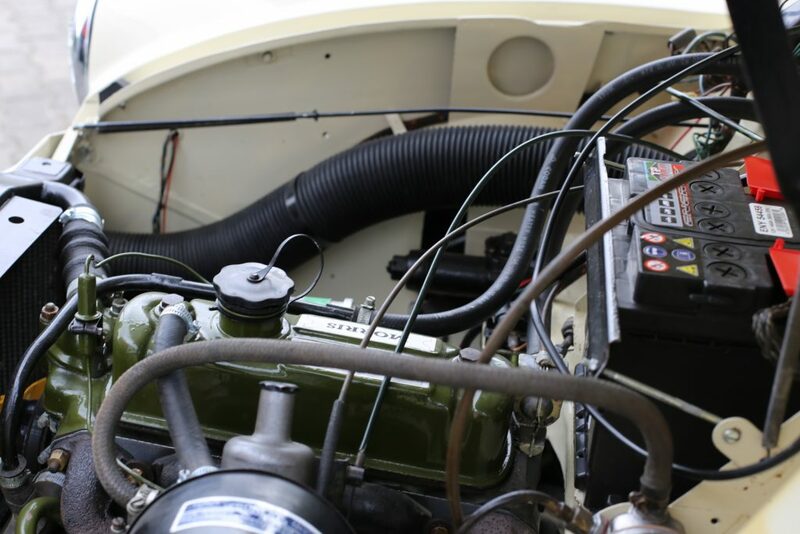 The then owner Mrs D M Collins, following several cost estimates, eventually enters into the world of ‘restoration’ in 2000 and spends in excess of £4000, predominantly restoring the underside of the car. 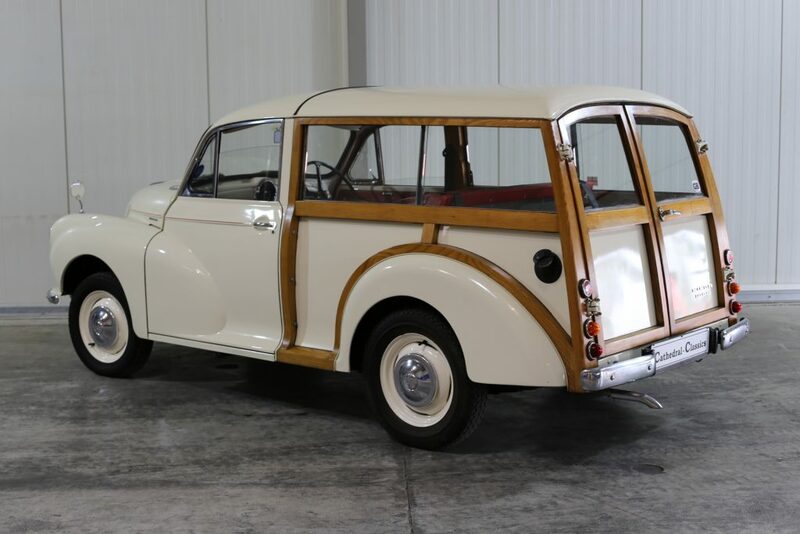 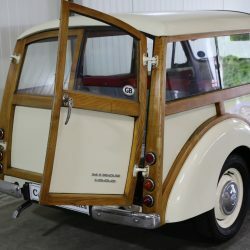 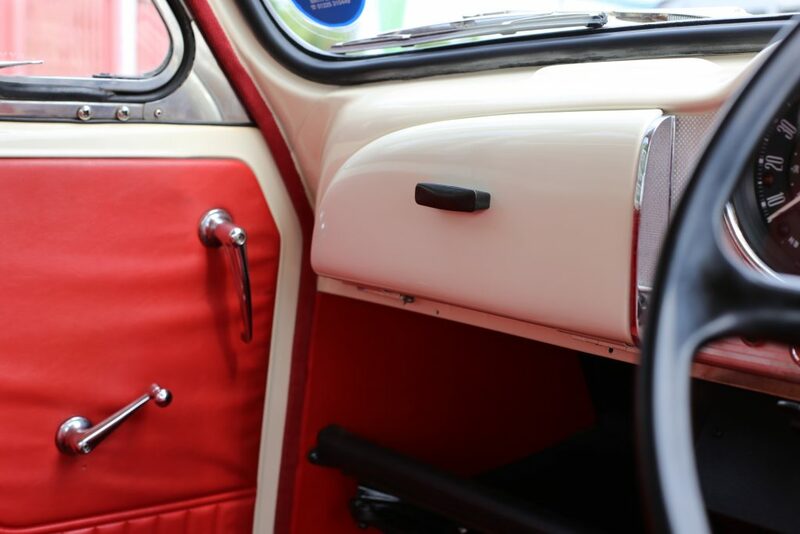 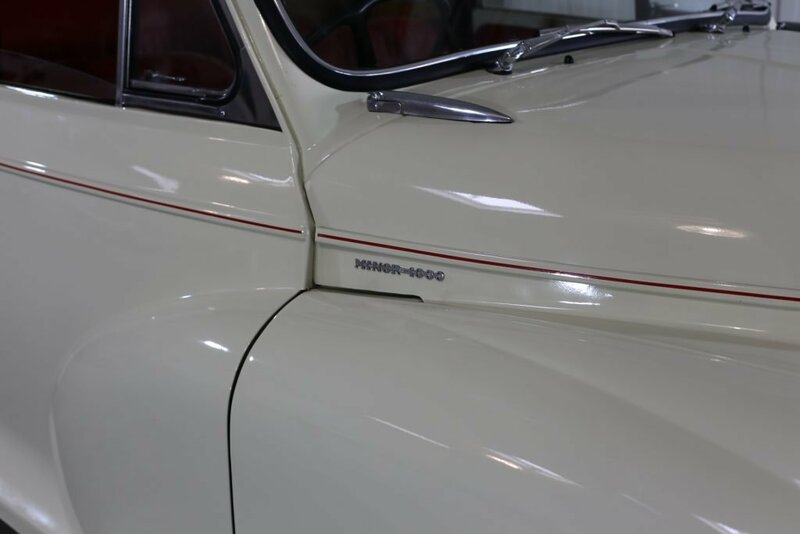 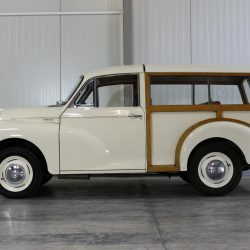 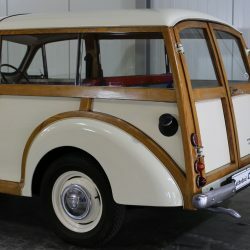 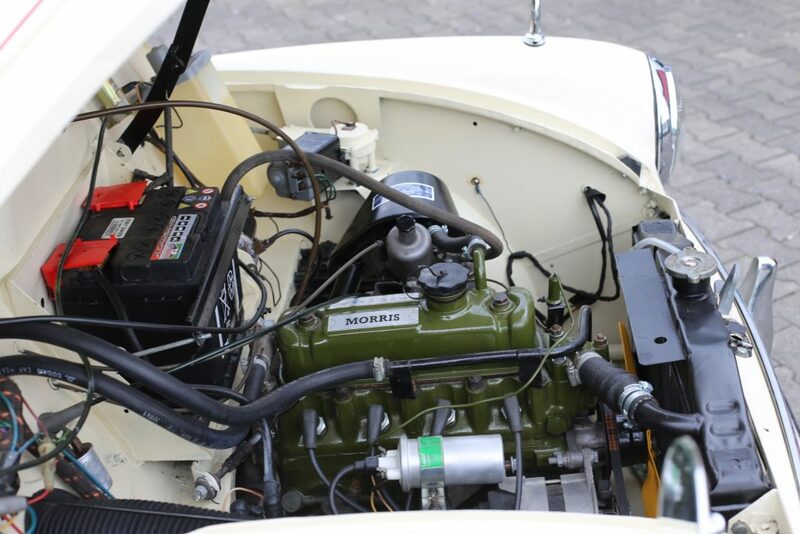 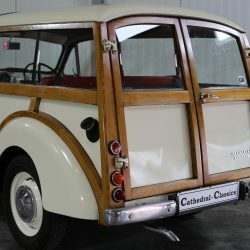 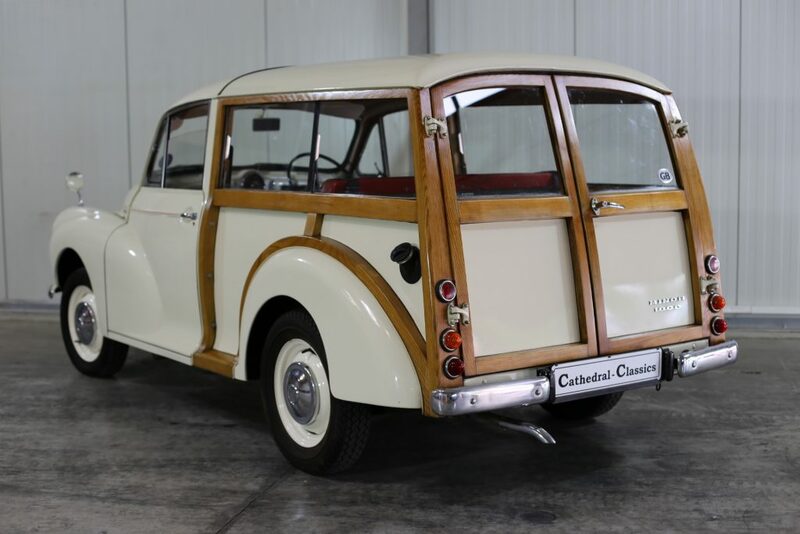 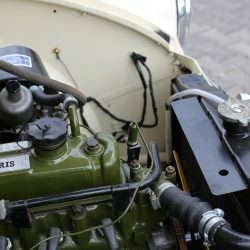 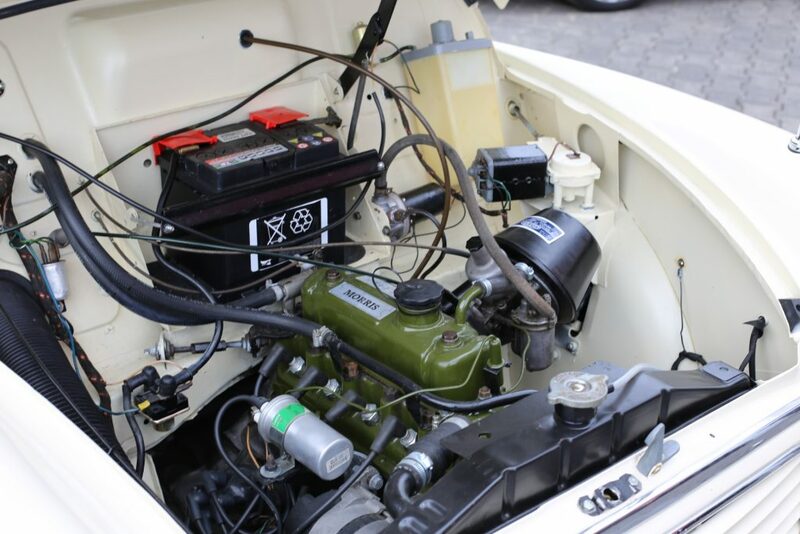 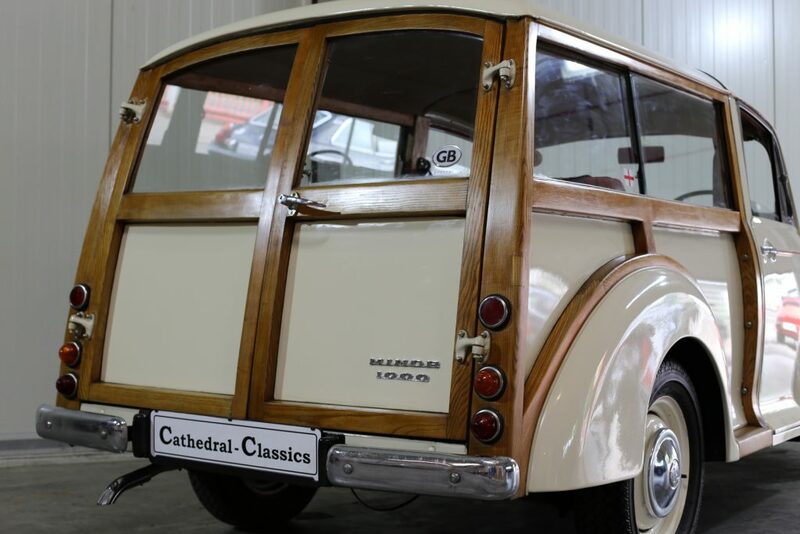 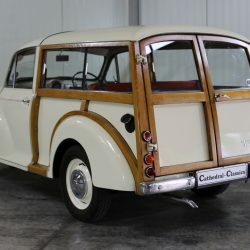 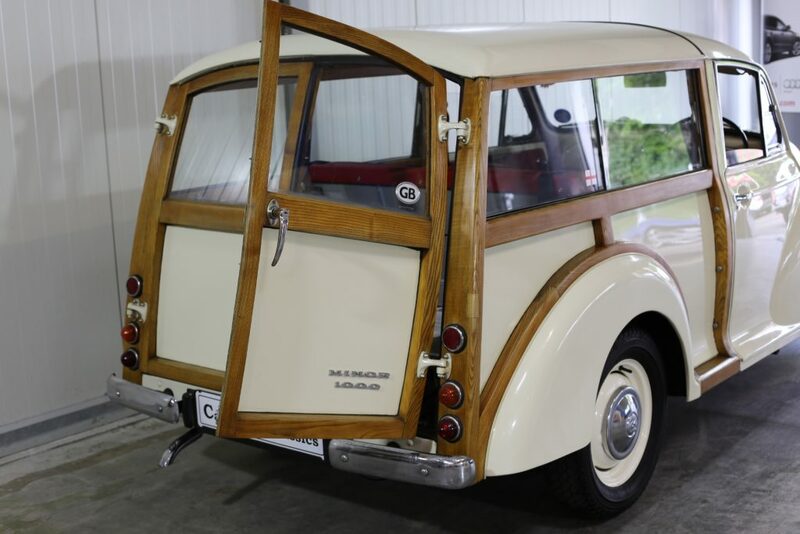 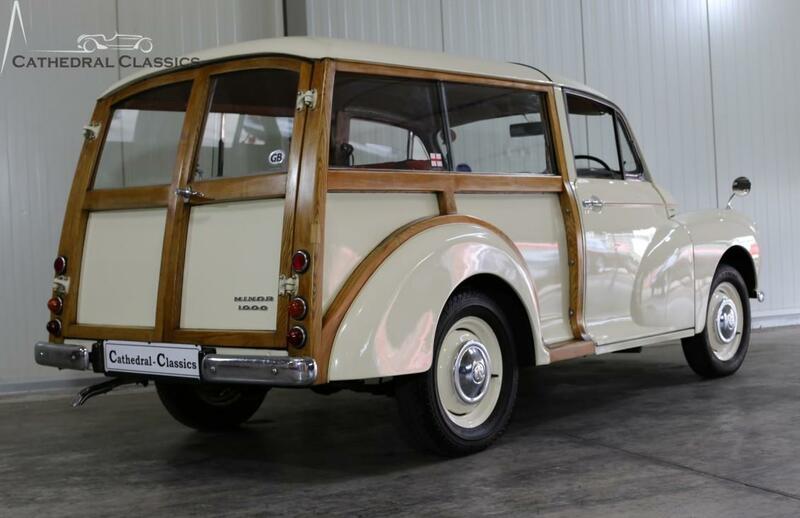 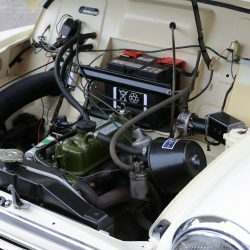 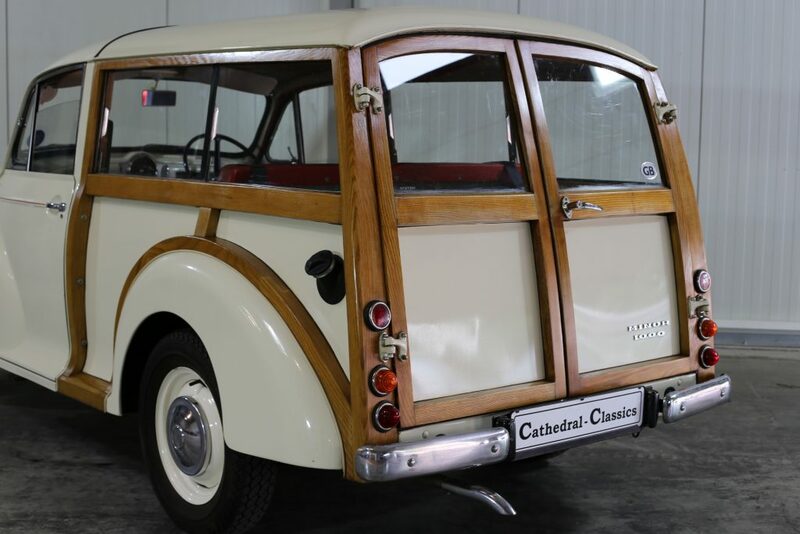 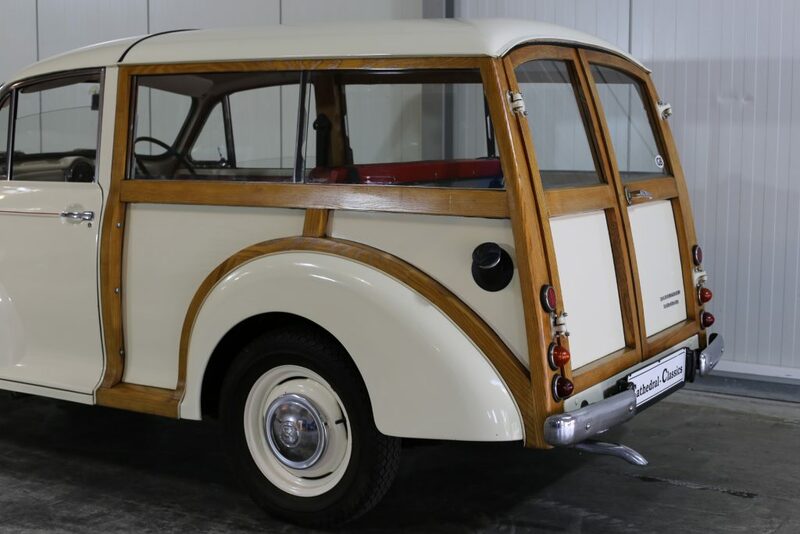 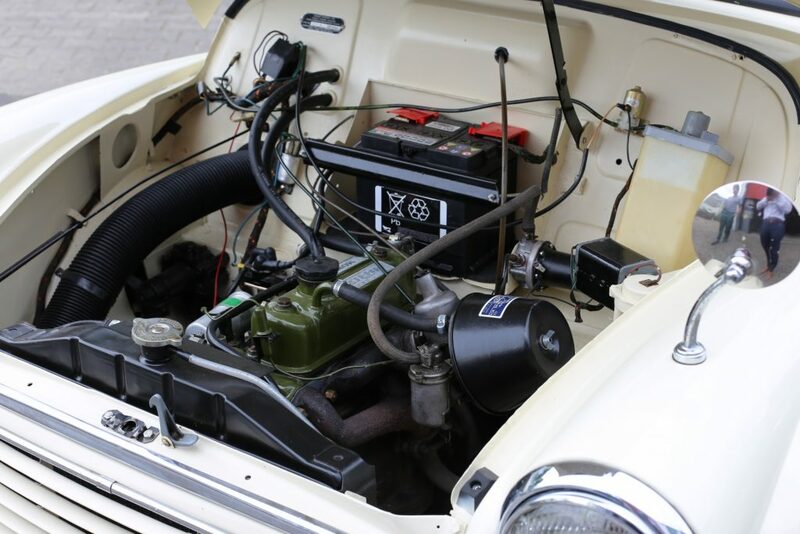 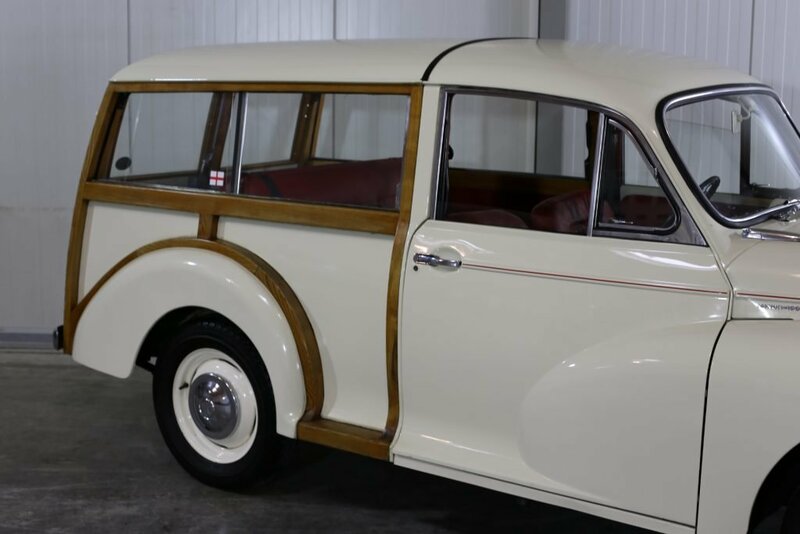 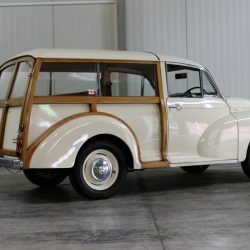 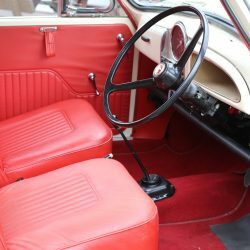 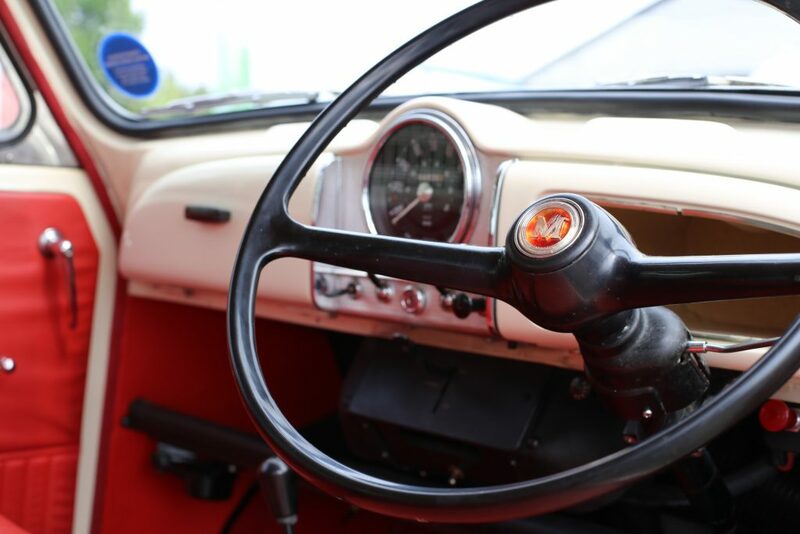 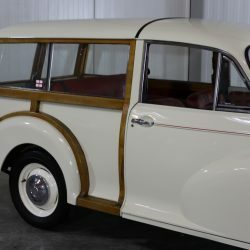 In 2003, specialist, Charles Ware’s Morris Minor Centre in Bath, undertake an extensive bodywork restoration, including a full Timber Kit and engine overhaul. 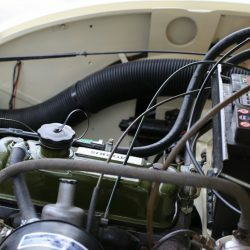 The 4 page itemised list of renewed parts is a quirky read showing just how inexpensive the parts were at the time. 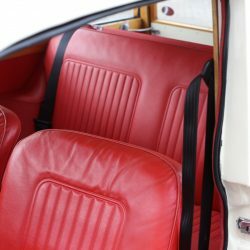 Once complete, to the tune of another some £3000, the car finds new custodians before being sold again to a private German collector in 2006. 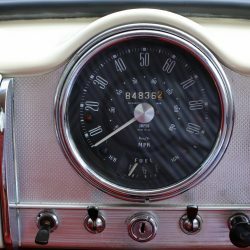 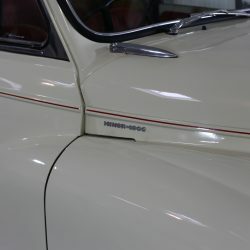 The comprehensive history file clearly shows well documented mileage and has clearly been cherished by each individual owner. 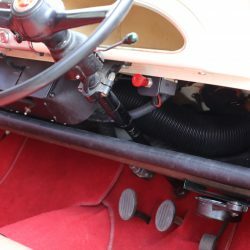 The car is an absolute joy. 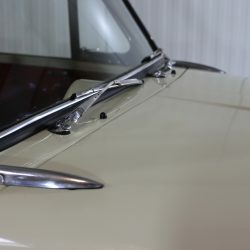 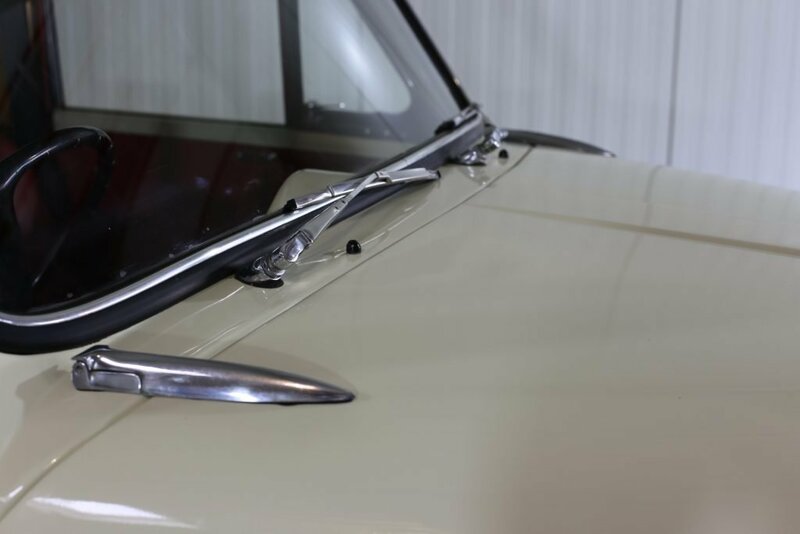 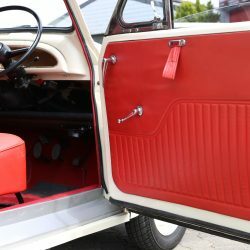 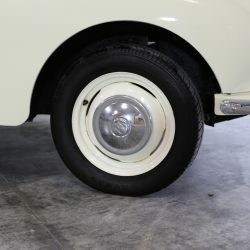 EXTERIOR – Finished in probably the best colour for these cars, the Old English white paint from its restoration in 2003, is standing the test of time. 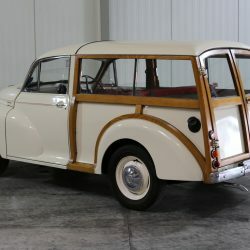 The Timber was also replaced during the restoration and has clearly been treated since and currently requires nothing to be done. 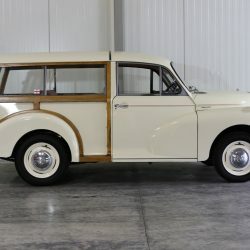 Incredibly, all the rear and side windows are still showing the (for insurance purposes) etched registration number OYW758F, probably done during the cars early years. 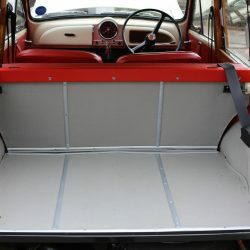 The front screen and rubbers were replaced during the restoration. 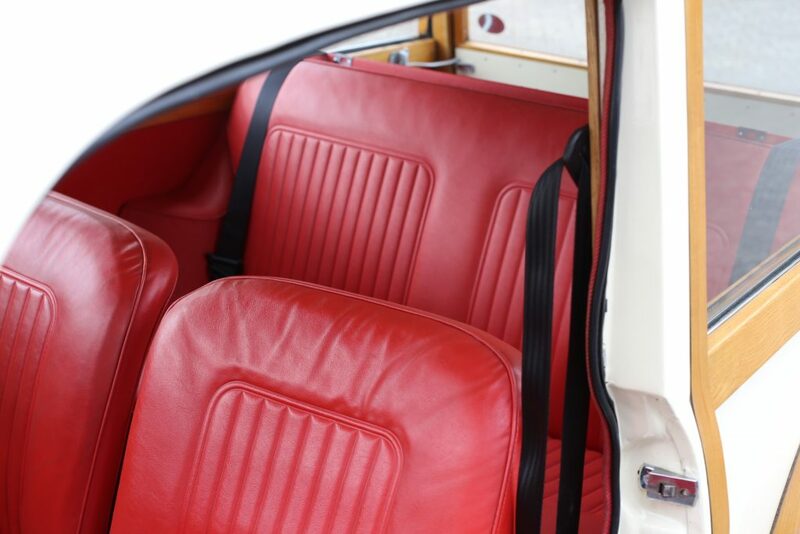 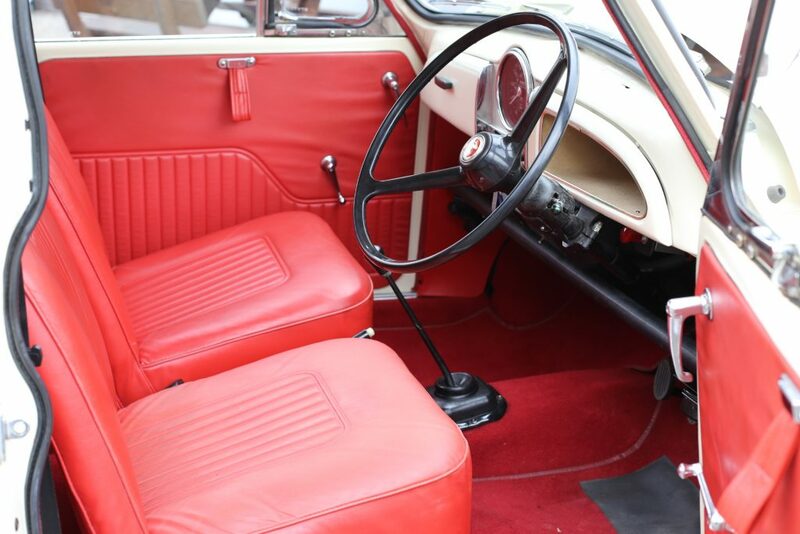 INTERIOR – The delightful contrasting red vinyl interior was also part of the restoration in 2003. 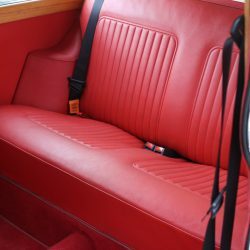 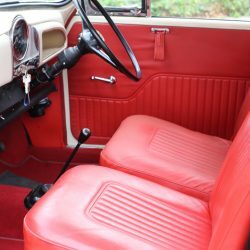 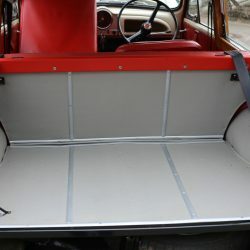 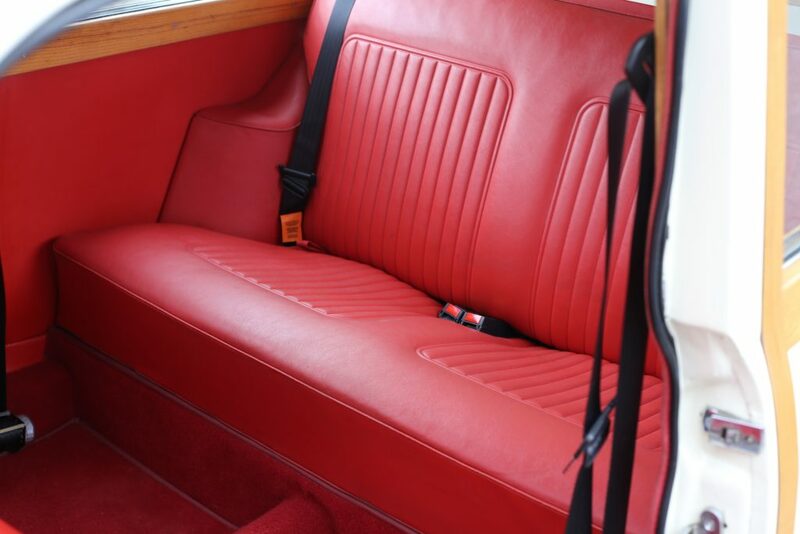 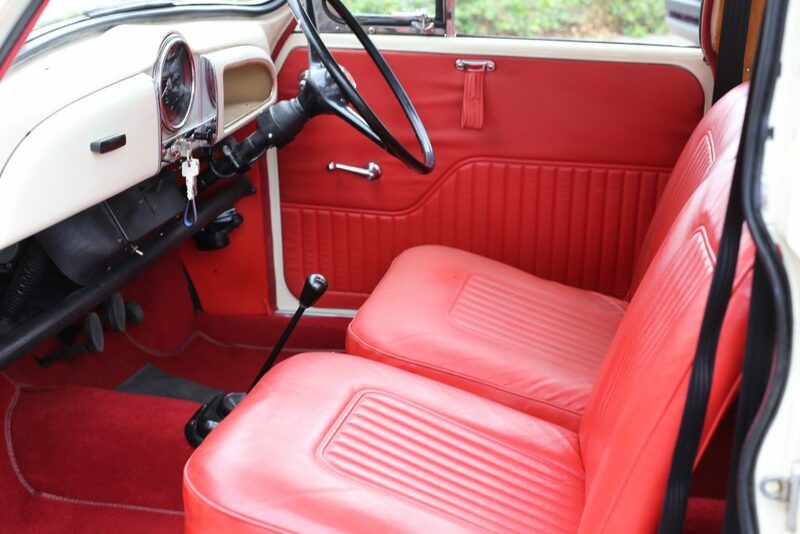 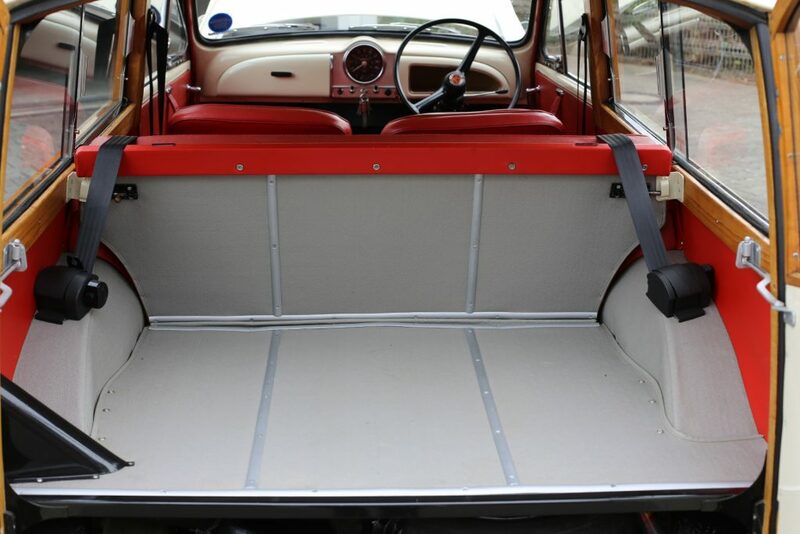 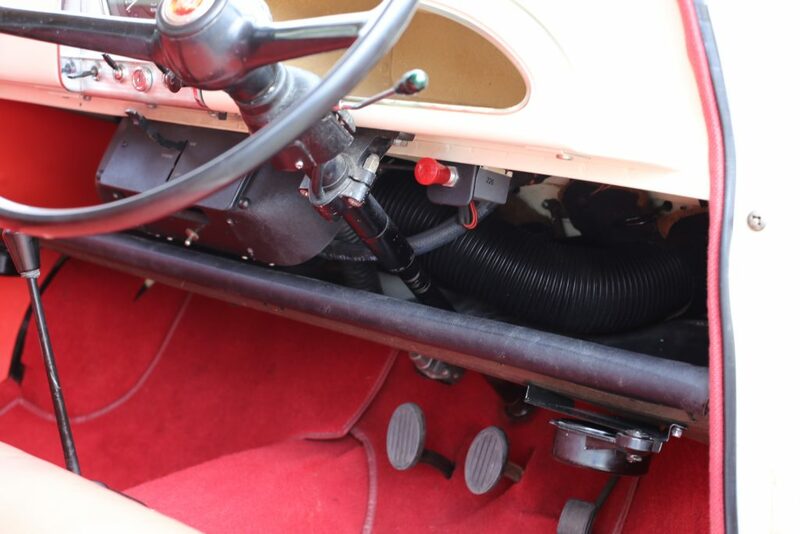 Front seats and rear bench were all restored including underneath padding and webbing. 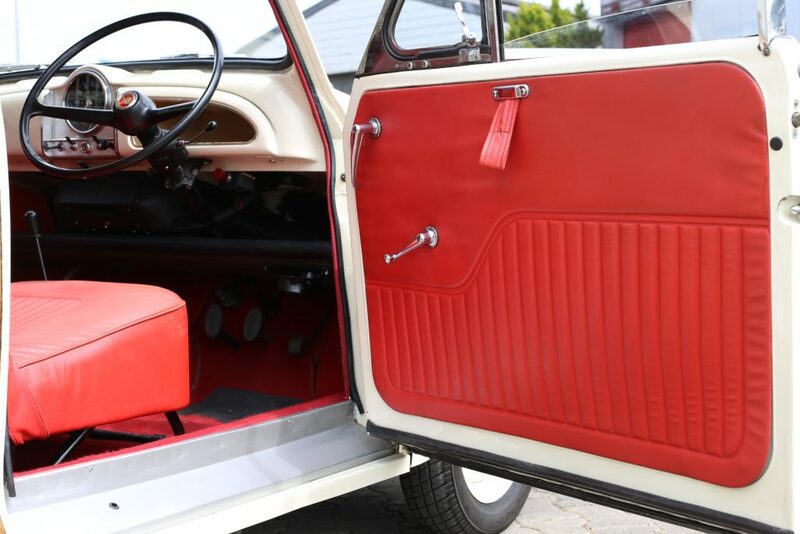 The matching red carpets are completely wear-free. 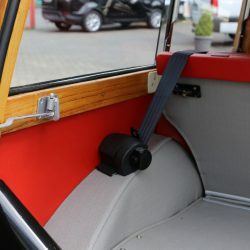 Modern seat belts are a welcome addition for today’s driving. 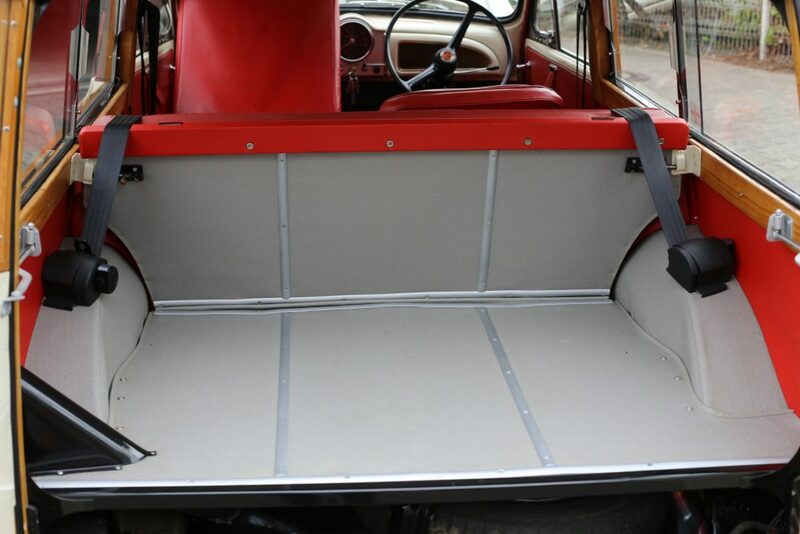 The rear traveler load area is in perfect order. 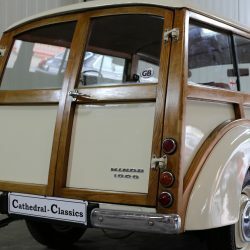 As ever, these cars evoke a wonderful nostalgic feel. 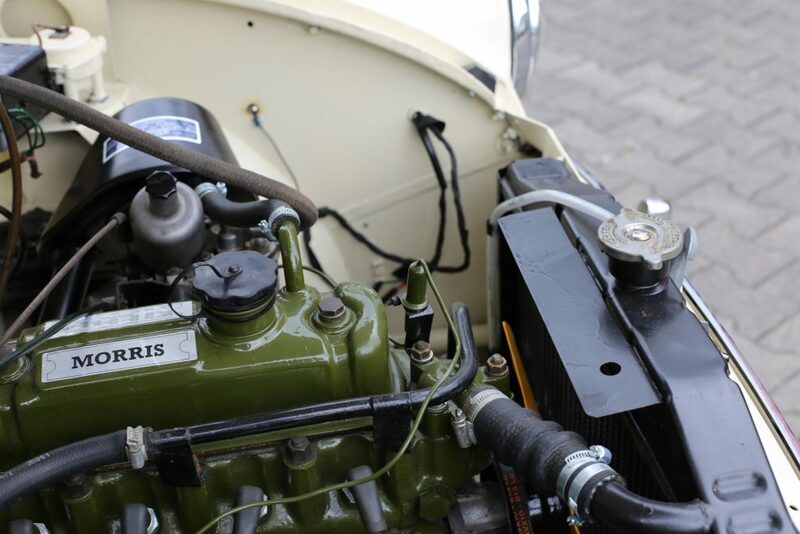 ENGINE & TRANSMISSION – The robust 1098cc engine was completely overhauled in 2003 including: piston set; oil pump; main bearing; big end bearing; radiator and much more. 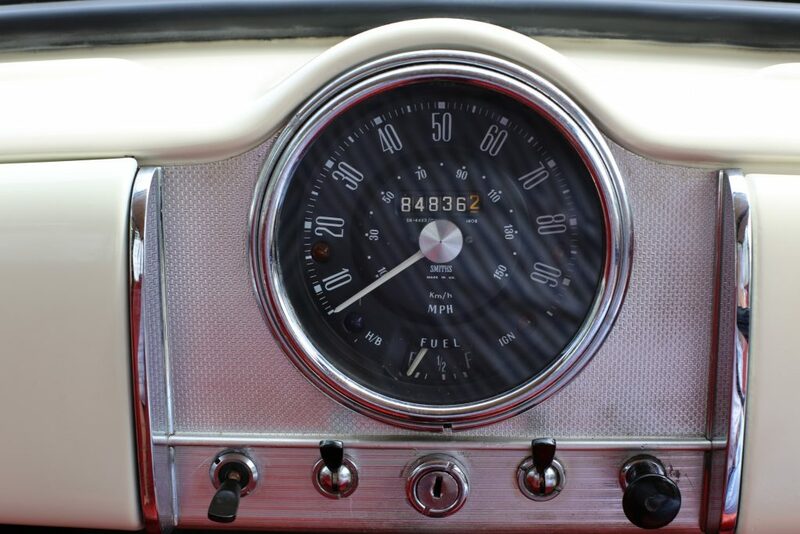 The car has only traveled a mere 8000 miles in the last 15 years. 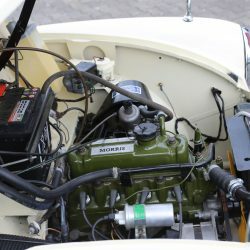 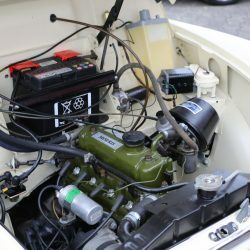 The detailed engine bay could easily be shown today. 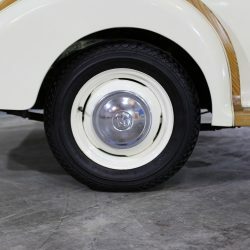 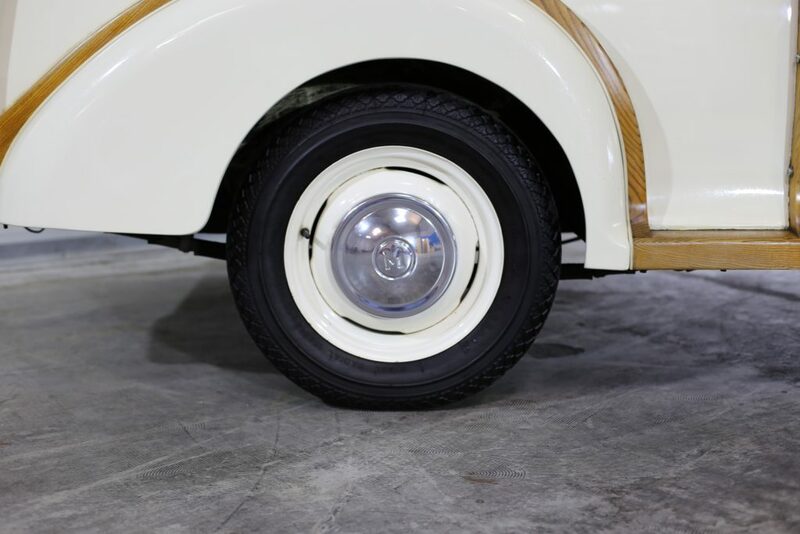 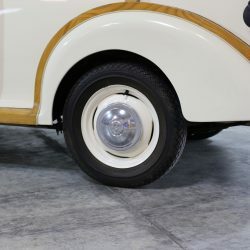 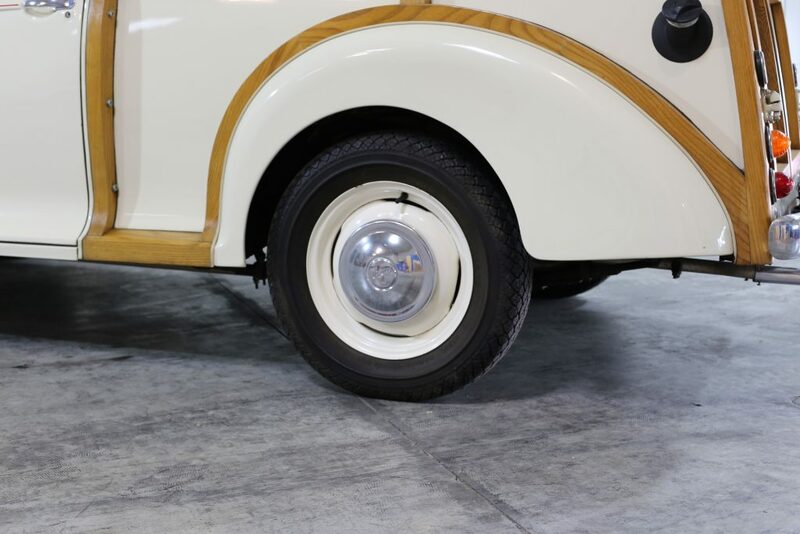 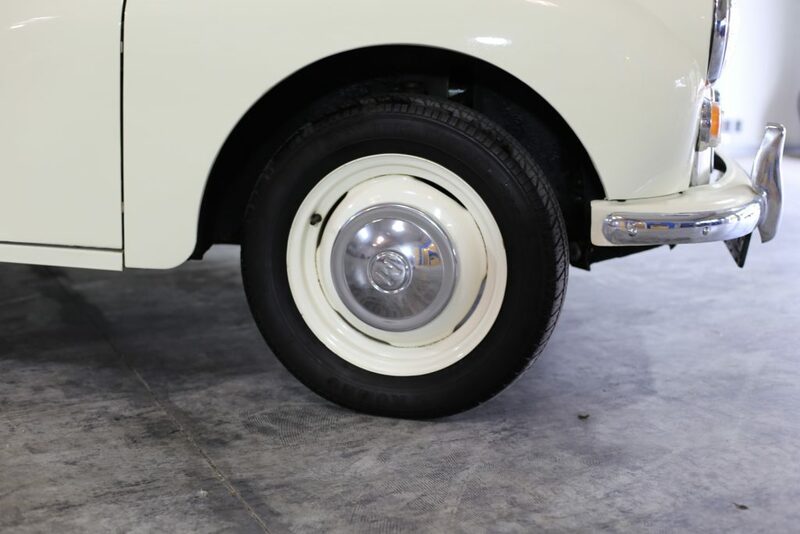 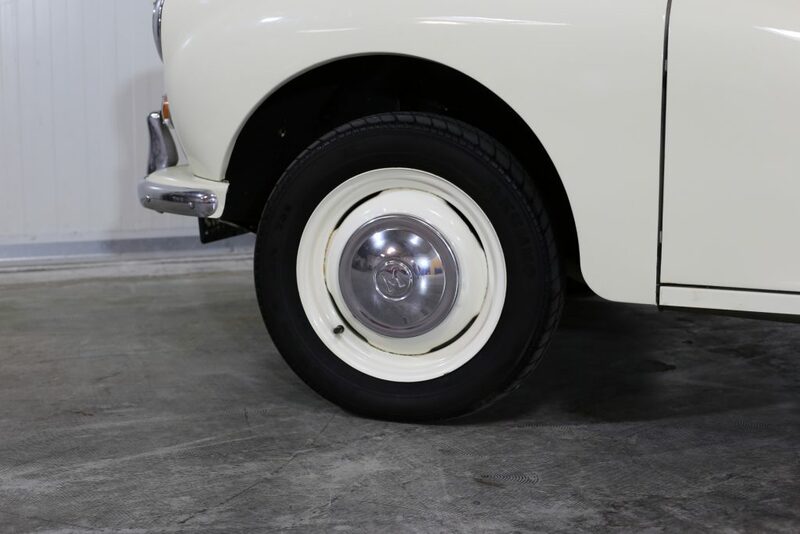 WHEELS, TYRES & BRAKES – Standard painted wheels are now fitted with new 155/R14 tyres with correct Morris hub caps. 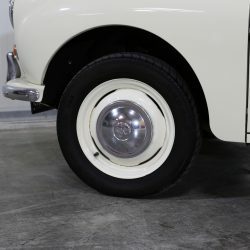 The brakes have been recently serviced.